What insurmountable obstacles are shaping your experience? Nazare, a quiet little fishing village in Portugal, has become a primo world surfing spot because the waves can get up to 80 feet. They reach such heights in part because of the rare undersea geography, where the ocean swells become intensified as the incoming tide passes through a deep canyon pointed at the shore rather than fanning out into the usual topography of gentle shoals. This undersea geography reminds me how our perception is shaped by forces we might not be aware of, and prime among them is the language we use to describe our inner experience. If you’ve ever felt a huge wave of anger, frustration or anxiety rise up inside you and you wondered where it came from, consider the likelihood that it arose from the words you use to describe your inner landscape. We often shape our inner landscapes with insurmountable obstacles: high hurdles, mountains, canyons, swamps, pits, minefields, choppy waters, to name but a few. When we try to navigate this inner world, it’s no wonder we get exhausted, give up and go for some mindless and often unhealthy distraction to keep from having to think of the hard work of being alive. These kinds of descriptions become habituated perceptions that make it difficult to simply experience and process our thoughts and emotions. 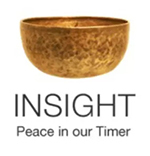 Wise Speech, one of the aspects of the Noble Eightfold Path (The Buddha’s prescription for the end of suffering) is speech that it is kind, true and timely. It refers to both the words we express out loud and our inner ‘self-talk’. In the examples above and many others that are pervasive in the way we describe our inner landscape, our speech fails to be true. There is no barrier within us that needs to be ‘gotten over.’ So how do we ‘get over’ a non-existent barrier? How do we claw our way out of a non-existent ‘pit’ — a pit that can feel very real in our inner world of complex emotion? Setting ourselves up for tasks that cannot be accomplished is not just untrue but unkind, so again, not Wise Speech. And timely? Many of these metaphors knock us out of the present moment and focus our attention instead on something distant and basically intangible, so I’m guessing they wouldn’t be considered ‘timely’ either. The other night as I was guest teaching Rick Hanson’s class, a student shared what he was reading in a book about enlightenment, and said that you have to get to the other side of judgment to reach enlightenment. The other side? What sides? Judgments are not literally sitting in a pile blocking our way to enlightenment, are they? When we notice a judgment, how much more skillful it is to greet it with compassionate curiosity, instead of identifying it as one of the many enemies barricading our way to the hidden ‘destination’ of enlightenment. Simply being present for all that arises in our experience, enlightenment can also arise. Recently a student told me she eats mindlessly to fill the bottomless hole within her. I am familiar with that sense of there being a hole, but if we are being truthful in our self-talk, it is more skillful to sense into the emotion that is arising in our experience, and then with compassionate clarity, follow the thread back to its origin. Instead of a hole science tells us there is a complex series of neurons and networks and systems and patterns of thought and emotion, that weave very plausible stories and solid-seeming metaphoric images. But if there is no hole, how can it ever be filled? And if it can never be filled, how does it serve us to perceive a hole? It doesn’t. The image crystallizes one of an infinite fleet of feelings made of unfulfilled cravings and unaddressed fears, and gives it a full-fledged identity. We grab onto it. We own it. It’s our hole and we’re holding onto it. If we simply stay present and explore the emotion itself, we can probably follow the thread back to a parent who was unskillful, unable to love us in the way that we needed, or some kind of early trauma that has heretofore been too difficult to face. Freeing up the inner imagery frees us up to see more clearly the emotions we’re experiencing. Another student used the metaphor of finally ‘seeing a light in the darkness’, and while that certainly sounds like a good thing, it implies a long blind wandering in the dark and a reliance on some external source of light to guide us. How much more satisfying to BE the light in the darkness we feel around us, to radiate out lovingkindness. This is what we do in meditation, though we may not label it ‘light’, but we are cultivating the ability to center in with compassion and radiate out that infinite light quality. I write poetry, so it may seem odd that I am speaking out against metaphors. I love metaphors! I use them all the time. But because I write, I may be hyper-aware of the power metaphors wield, how they can just as easily obscure understanding as illuminate it. Metaphor can be a very useful tool, but only if it supports us in being fully present in our experience. When I lead a guided meditation, I share a metaphor of ‘cultivating a compassionate spacious field of awareness’ where sensations, thoughts and emotions arise and fall away. We can use the paired focus of the breath to expand the space as needed to hold all that arises. In this way we’re less likely to get caught up in the tangle of the past and future. In the practice of being mindful of all that arises, we may also notice the rude names we call ourselves, others or inanimate objects in moments of frustration. These names are creating a very hostile environment that is bound to spill over unskillfully into all aspects of life. Noticing is the first step to gently developing a more skillful relationship with these unsettling inner judgments and opinions. My interest in how language shapes perception began over forty years ago when I noticed how the word ‘should’ was making me feel a bit beaten down. I wasn’t trying to avoid responsibility for anything, just questioning whether whatever I was doing was enhanced by some inner harpy nagging me to do it. Or, I wondered, was it more fruitful to be in touch with my loving intention for doing the same thing? Whatever the project, it was always more pleasurable and had better results. So words like ‘should’ and ‘ought’ and ‘must’ stand out to me as suspicious, even when used by traditional Buddhist teachers. They feel injected as dictates from some outside source that is not to be questioned. But the Buddha said to question everything! How strong is our ethical foundation if it is grounded in fearfully pleasing some outside source? How much more powerful it is when it comes from our deepest understanding of our intrinsic interconnection with all life, as we are each unique fleeting expressions of life loving itself. Even positive-seeming words like ‘goal’ throw us out of balance, because once there’s a goal, all our efforts are dictated by some future-point that we imagine. So we strive toward that goal instead of living fully in this moment, allowing our wise intention and wise effort to fuel us into blooming in a way that is of benefit to ourselves, others and all beings. I recently read Alice Waters’ book Coming to My Senses, in which she captures the essence of living in the moment, engaged in sensory awareness. I don’t think anyone could think that she — who created an amazing restaurant and changed the thinking of a whole industry and in fact how we as a culture think about food — hasn’t accomplish anything. But she didn’t define some distant goal and doggedly pursue it. The idea of a restaurant arose organically out of her passion for sharing her love of cooking, her moment to moment experience and her collaboration with others. She worked hard, yes, but not in service to some imagined future moment when all her dreams would be realized, but by being fully alive in each moment, doing what she loved wholeheartedly. In our practice of meditation, we might get attached to the idea of a goal to become a perfect meditator, perhaps ultimately a perfectly enlightened being. Imagining some distant point to ‘get to’ makes this moment here and now kind of a sidelight, a rehearsal, a stepping stone on the way to something much more satisfying and important. That’s interesting when you stop to consider that this moment is the whole of reality. There is no other moment! They are all just thoughts: memory, planning or worry. They don’t exist! Only here and now exists. This is not some way station point on a timeline, but the all and everything of earthly existence! So let’s be alive fully in this moment, just as it is, to do whatever is meaningful for us to do. Staying fully present to notice the way we shape our experience through the words we use, and to question their veracity in a compassionate way, we can discover a fresher livelier way to be in relationship to it all. I am interested in your replies (a link at the top of this post) with any inner landscape descriptions you discover, as well as any other comments and questions you may have. This entry was posted in inner exploration, meditation, Wise Speech and tagged Alice Waters, inner landscapes on November 17, 2018 by Stephanie Noble.